Aah the Sony Playstation, the machine that when launched back in 1994 changed the face of video gaming and the industry itself forever. Whilst the Atari 2600 and the Nintendo Entertainment System along with the home computers of the 80’s and early 90’s appealed largely to a young, predominately male demographic who were stuck alone in their bedrooms, it can be argued that it wasn’t until the arrival of the Sony Playstation that video game playing was truly embraced by mainstream culture and as a result turned the video gaming world into the huge multi-billion industry that it is today. The arrival of the Playstation ushered in video game booths in dance clubs and music festivals along with corporate sponsorship of large events and cross over of video game characters such as Lara Croft of Tomb Raider fame into other areas of media culture like films. Part of the reason for the large explosion in the video game world generated by the arrival of the Playstation was down to the leap in technology from 16-bit to 32 bit machines and the move from 2D based games to 3D based worlds. Of course whilst the Playstation was not the first 32-bit console to come to the market (the Amiga CD32 holds that distinction certainly in the western hemisphere), it was the first real console that blew everyone away with its fast 3D graphics and was able to deliver performance in a home machine that could previously only be found down at the local arcade. At the time that the Playstation came out, I was the owner of an Amiga CD32 console and looked on enviously at the great looking games that were appearing on this new machine. Although the Amiga CD32 and the Amiga scene was in a pretty unhealthy state at the time thanks to Commodore’s bankruptcy, the arrival of the Playstation pretty much killed our machines along with a number of other contenders like the 3DO, Atari Jaguar and even the Sega Saturn. People took one look at Tekken and quickly shelled out the cash. However we can kind of have the last laugh by emulating this classic machine on the X5000 end enjoying all the great games that were released on this system. On this website you will also find links to FPSE database which will tell you which games will run with the emulator, although I found some of the games listed as working and playable on version 0.9 of the Emulator appear to not to work on the later version much to my annoyance, as I was quite looking forward to playing Need For Speed. The next step is to obtain a Playstation BIOS and sadly I am not going to reveal where you need to obtain this from, I am judging most of my readership are intelligent enough and well versed in a consultation with Mr.Bing and Mr. Google to be able to know where you may be able to get hold of such a program. However the BIOS which is recommended for use on this emulator is bios/scph 1001.bin so to ensure maximum compatibility with software use this one. 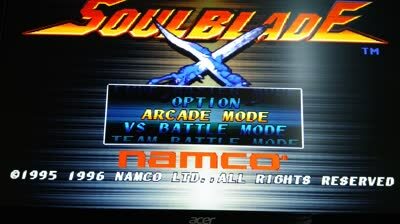 After downloading the emulator and saving this to any drive of your choice adding the executable icon in the shape of a Playstation joypad to your Amidock for easy location, it is time to start this up and do some configuration for first play. Now a few recommendations here for you when trying to run this on your machines. If you have any Playstation CD’s, then I would not recommend trying to run these direct from the CD. The reason for this is according to the release notes, is that performance is slower and also there is an issue with the sound not being totally 100% perfect via the emulator. Given that Playstation games often featured CD stereo sound in the form of separate tracks, my advice is to try to seek out ISO’s of the original games and more importantly look for ones that come in a complete .bin format as they will more often than not have the CD music contained within the file. Another thing to watch out for when downloading ISO’s are where the .bin files come in multiple segments along with a separate .cue file which is basically a file dictating the running order that the CD should play the segmented .bin files on the disk. My advice here is to try another file or another download site, or if you have no other option then transfer the file to a PC, open up Daemon Tools and mount a virtual drive. Place the .cue file in the virtual drive you have just mounted, then using a program like Imageburn, request that the bin files be merged into one large bin file from the .cue file instructions. Lastly, one final thing with regards to ISO downloads. You may sometimes see the .bin file as a whole with a .ecm file attachment at the end. Well ECM files are compressed files which can be unpacked on the Amiga, so if you are not able to unpack these, then head over to OS4 Depot and download the following: http://os4depot.net/index.php?function=showfile&file=utility/archive/xad_ecm.lha The file will need to be placed in the XAD folder which is located in your Sys:Libs folder. When opening up the Emulator for the first time, I recommend that you have a look at the following configuration which you will need to match and there are 6 different tabs that we will need to look at here. The first deals with the CPU and here i would switch on everything. The next deals with the Playstation BIOS, you will need to specify where on your Amiga the Playstation BIOS is located. I also turn off the Sony Playstation logo here as it means that your games will load quicker. The next screen deals with CD and locale settings. You can select between Europe, USA or Japanese region coded games, I stick generally with USA for compatibility here. I also ensure that the remaining tabs are marked as On here as this will ensure that you get music during the games. First we configure the screen settings under the Graphics Processing Unit (GPU). So I will run this in full-screen 1024×768 mode RGB32 mode. I then configure my joystick and of course will be using my Logitech F-310 which is a Playstation type pad. Lastly, I need to tell the emulator where I am pulling my CD files from so as I will be using ISO’s here, i need to set this to plugin/cdimage.dll. I can also tell the program where to look for ISO’s as a default folder. 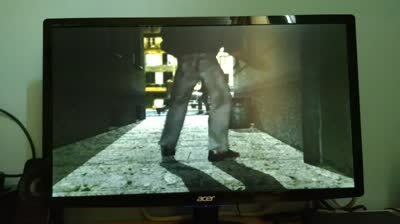 First impressions are that the emulation works quite well, I certainly have been having lots of fun for the purpose of this post playing with a whole host of titles that I have never totally played with before such as Ridge Racer, Grand Turismo, Tekken 2, Crash Bandicoot, Resident Evil, the list is endless really. How good is the emulation of the actual hardware, well I think it does a pretty good job in all, the games I managed to get running do so really quickly, I was impressed with the speed of the original Wipeout and of the driving games I tested. 3D beat-em up’s were really impressive and although the Playstation itself is over 20 years old, some of the games and graphics still look great today, although there is a certain look to games of this particular era which are quite distinctive. Certainly compared to a 3DO and an Amiga CD32 you can see why the public fell in love with the Playstation and were mesmerised by the flashy intros and movie like cut scenes within games. There are some limitations to the emulator. As mentioned previously not all ISO’s appear to work, whether that could be down to the source of the ISO, or some of the configuration settings I have yet to totally figure out, but lets just say I was a bit disappointed that any of the versions of Road Rash I downloaded for the purposes of this test failed to work and other examples like Ridge Racer Revolution suffered from garbled sound problems even playing from an ISO which meant that you have to play this with the CDDA settings as off. 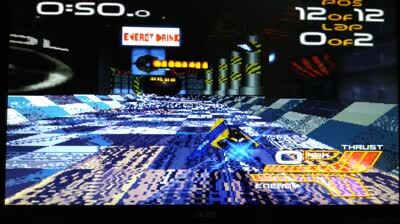 The emulation isn’t 100% perfect either graphically on some games, one of which was Wipeout 2097. I would say this was a let down for us X5000 users, but seeing as we have our own version of Wipeout 2097 which works now on the X5000 using the Wazp3D driver but without the Prodigy soundtrack, it is not such a let down, but the video below will give you an idea of some of the emulator’s limitations in its current release. Despite some of the emulator’s limitations, I have had real fun in playing with this piece of software and with a sample from the huge back catalogue of games that appeared on the Playstation. It has made be want to go out and seek out more titles from the likes of Namco and Capcom who were enthusiastic supporters of the console. 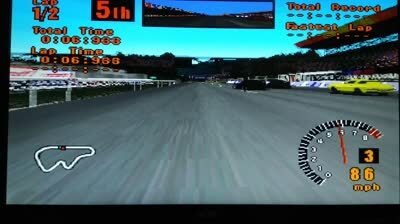 However you will notice that one noticeable absence from the original Playstation catalogue are any games from their great rival Sega tended to keep their games like Sega Rally, Virtual Fighter 2 and other as exclusives to their own Sega Saturn machine which came out around the same time as the Playstation. Saying that, if our Amiga machines are now powerful enough to emulate machines at the level of an original Sony Playstation, how about someone takes the task of porting across a Sega Saturn emulator for Amiga OS 4, or maybe even the 3DO. Until next time have fun with your Amigas.